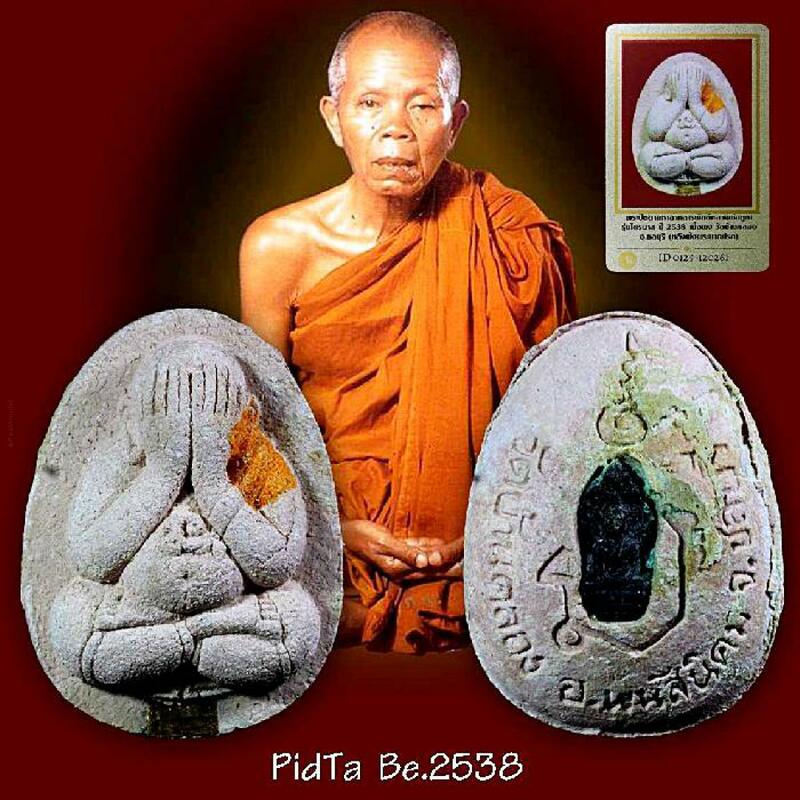 Item 名稱: GREAT WINDFALL WEALTH FORTUNE PIDTA CLOSED EYE THAI AMULET LP KOON 2538 +CERT. Amulet by LP KOON IS POPULAR IN THAILAND AND ASIA COUNTRIES AS IT HAS GOOD METTA MAHA NIYOM EFFECTIVE. Good for bring greatly loved by others all around (metta maha niyom), Powerful attraction money richly wealth, also prevent life and protection from and dangerous or hard accident can not harm you. ability to gain mercy and loving among surrounding people. Also it gives protection to wearer. Good amulet for collection and wearing on great for protection, wealth, luck, and succession in everything you do.